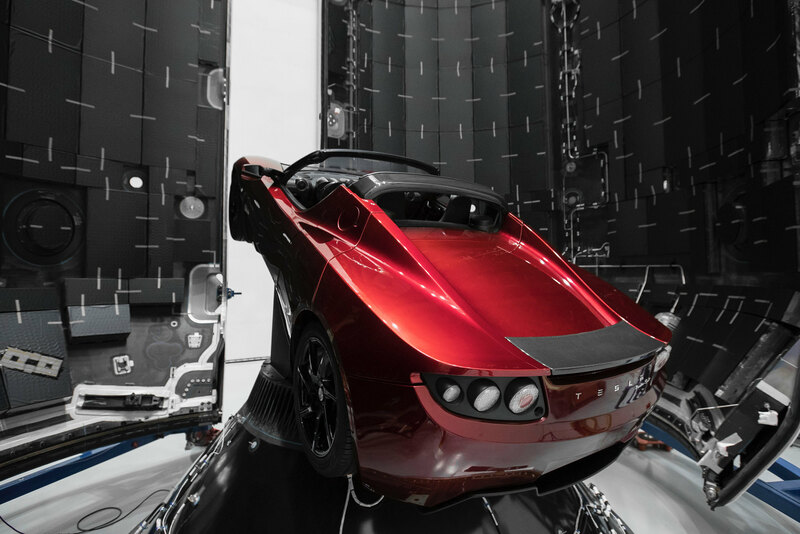 Composed of three Falcon 9 boosters for a total of 27 Merlin engines in the first stage, the long-awaited, oft-delayed maiden flight of SpaceX's heavy lift rocket delivered a Tesla Roadster to solar orbit. The launch date was Tuesday, February 6, 2018 at 8:45 PM (UTC). The payload for this flight is a Tesla Roadster. 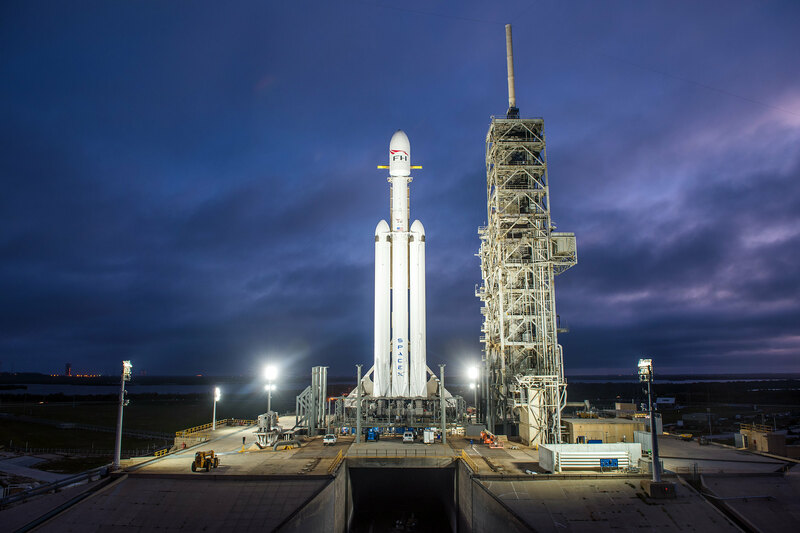 On Dec 28, 2017, Falcon Heavy went vertical on LC-39A for the first time.